Lisa explained intuition and how to access it as a science. Highly recommended as a tool to add to your spiritual work. One of the clearest books on developing your intuition. No "woo woo" here just very straight forward steps to take and how to be successful taking them. 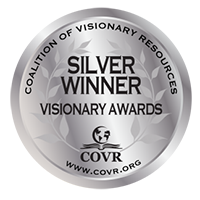 Fantastic intuitive solutions... as you access that knowledge, magical and amazing things can happen for you. Excellent book for beginners and advanced to practice your intuition techniques. Won’t even let someone borrow it. Intuition — Your Source is with you! This book is a MUST HAVE for anyone looking to know more about their intuition and how to develop it. Can’t tell if it’s your intuition or you’re making it up? Want your intuition to work when you want it to? Want to be connected, be centered and always guided? Have trouble knowing what your intuition is trying to tell you? This book has all the answers to all of these questions, order it today! “I’ve been a self-taught intuitive since I was a teenager and I’ve read every book I could find on the topic. Lisa’s book has finally given me the actual information and techniques, step by simple step, that I’ve been searching for. I went, almost overnight, from a frustrated semi-psychic to a woman who can receive clear answers from my intuition on demand. At the risk of sounding dramatic, I feel that Lisa has changed my life. Although I plan to use my newly-strong skills in my clairvoyant palm readings business, I have been benefiting from my new intuitiveness in my everyday life. It’s a wonderful feeling to know that my intuition is always there for me, like a best friend, guiding me through life’s “forks in the road,” big and small. Intuition On Demand solves these problems with a NEW step-by-step technique and tools to develop your intuition from scratch. You can get instant intuitive guidance for all your important life decisions and have a better outcome. You’ll always be assured with intuition you can trust to feel connected, safe, comforted and calm. Lisa K. PhD developed these methods and technique to help her become a sold out intuitive coach and one day save her life. Inspired to help others do the same, she taught this technique to friends and eventually hundreds of people around the world with immediate, stunning results. Developed from years of research, training and experience, Intuition On Demand was created to help others, like yourself, to develop your intuition from scratch. Intuition On Demand provides a stepwise technique that is a down to earth, tangible process that makes sense. Words used to describe the technique and methods are clear, straightforward, understandable and not “woo woo.” This intuition technique can easily be applied to any situation. 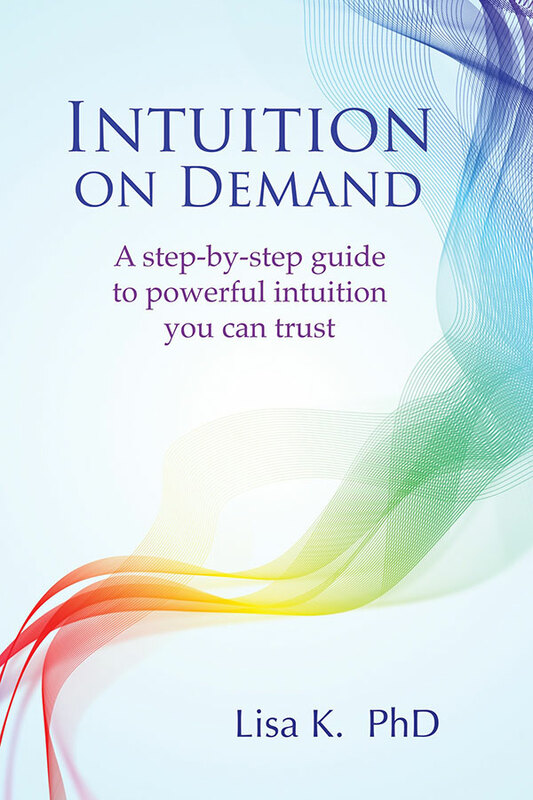 Intuition On Demand is written for people like you and me who recognize our random abilities but want to hone our intuitive hits to be more predictable, accurate, and trustworthy. I highly recommend this book to police officers, doctors, nurses, soldiers, lawyers, professional poker players and entrepreneurs—anyone who depends on their gut instinct on a daily basis. Intuition On Demand could save your life or, at the very least, give you a leg up in life. All I can say is Wow! 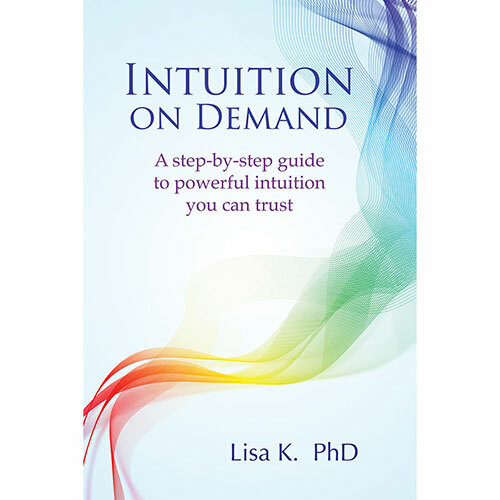 I am so excited that Lisa K. has written a book on “Intuition on Demand.” The book is full of information on how to access your intuition. It is easy and fun to read, especially if you have a busy schedule with little time to read. The chapters are just long enough, while full of details on the “how to” and then the working on the “steps.” I felt comfortable performing each exercise with success. It is the great book if you want to learn how to access intuition on demand. Learn the Intuition On Demand technique that is easy to follow and gets your intuition to work immediately. Why you may be stuck at step one on the development map. Busting the myths about intuition and how to overcome the mistakes they cause. Find ways to re-program your mind so you can have your intuition “on” all the time and use it in any situation. Discover how to distinguish between your thoughts and your intuition. Learn methods to get your thinking and Ego out of the way of receiving intuitive messages. Learn about metaphysical energy and how to work with it. Solve common problems everyone has with intuition. This book has dozens of intuition exercises you can do alone or with a partner to advance your skill. 10 Intuition Tools for love relationships, health, career and business, plus happenings in the future. Listened to you in Monroeville, Pennsylvania. I can’t believe how things have clicked for me since then and reading your book… listening every day to my intuition. The most helpful thing from book is asking for advice and then listening..hope you write on children like I asked… I have had this since I can remember but was told I was silly; I’m dreaming; or the worse that it isn’t a God thing..so now because of you I am letting these feelings be part of my life and and know that I’m not strange to know and feel… thank you Lisa. Lisa K’s book “Intuition on Demand” delivers a simplified, systematic approach to understanding intuition. It is a must-have book for Spiritual and Intuitive Seekers, alike. 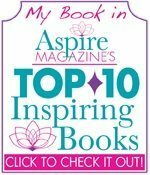 Lisa K’s tools and techniques offer the reader the opportunity to enhance abilities, expand connections and create a greater awareness of intuition. Unlike other books on intuition that are often vague and confusing, Intuition On Demand explains a clear and tangible step-by-step technique to make intuition happen when you want and on what you want. Intuition On Demand is written for those of you who don’t consider yourself intuitive but want to develop your intuition from scratch. Unlike other books, Lisa K. struggled with all the same problems that most beginners of intuition development have by needing to start from the ground up. If you feel you are somewhat intuitive but not necessarily psychic this book is for you. Lisa K. is considered an intuition expert through intense study, experience and education. 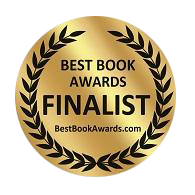 To use Lisa K.’s own words, “The approach here is to be less ‘woo woo’, more logically and, where possible, science based”, and this is Lisa’s tour de force with this book. Her clear and methodical approach turns a subject matter that is at best considered “abstract”, and at worst “new agey or even weird”, into a skill that can be learned and practiced. Her technique grounds something that for most of us remains elusive and unreliable into well-chartered and (why not?) mastered territory. 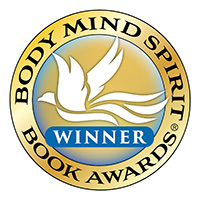 Her organized and focused writing shows readers that living an intuitive life can indeed become a reality. If this book does not convince you that you have what it takes to develop your own intuitive guidance, nothing will. I highly recommend it for anyone looking to grow into their own wisdom and develop their personal and portable GPS. Lisa K. has done it again: She has written a book with great practical advice. In “Intuition on Demand” she gives you infinite exercises to sharpen your intuition, which is definitely new. And believe me – with practicing these tools your intuition will be better than you can even imagine. I highly recommend this book. 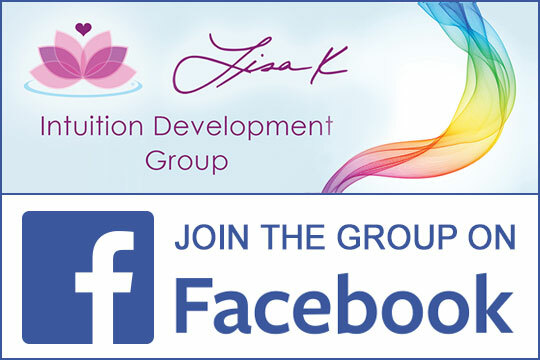 Lisa K has created a step-by-step process for intuitive development that anyone can follow and all will benefit from. Intuition on Demand is filled with an abundance of support and instruction for the beginner as well as tips and reminders. Great Job Lisa! I know helping people find their intuitive self is your passion and Intuition on Demand is a testament to your passion and knowledge. ~ Cindy Griffith, Author of Soul Soothers: Mini Meditations for Busy Lives and co-author of Grow Your Spiritual Business. All things “psychic” are in increasing demand. More and more people are interested in intuitive abilities and many of them are beginning to understand that they already have those abilities within themselves. This expanding audience has started to spawn books that demystify innate right-brain, creative, intuitive functions. Lisa K has made a very valuable contribution to that literature with this well-organized, clearly written, and thorough book. 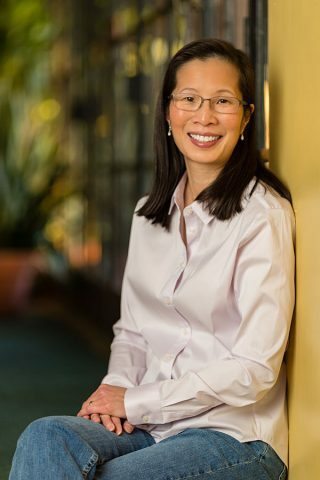 She writes from years of experience working with a large and diverse group of people. She has seen for herself that intuitive information can be acquired in a safe, accurate, and consistent manner. She includes metaphysical details for those who are interested but readers who want to stay closer to their physical world mindset will find that she is sensitive to their needs, as well. What if intuition were not a fleeting thing, but a talent that, like any other, could be nurtured and developed? What if it were a constant in life: a talent that could be honed to be consistent and integral to one’s decision-making process? Intuition on Demand: A Step-by-Step Guide to Powerful Intuition You Can Trust focuses on how to foster intuition and make it a reliable adjunct to one’s life, surveying real intuition’s characteristics, how 10 simple tools can help strengthen intuitive processes, and how to apply them to everyday life. Building intuition is half the battle: understanding how to apply the messages that come from it is a key to successful development that’s often omitted from more general discussions of clairvoyance, psychic development, and intuitive powers. Is it possible to train one’s brain to produce intuition not sporadically but ‘on demand’? Sure, it is. 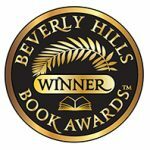 Author Lisa K. clearly provides a program to achieve these results. Coming from an author with a scientific background in psychobiology and engineering who has spent years researching her subject, it’s far more authoritative and concrete a game plan than most.